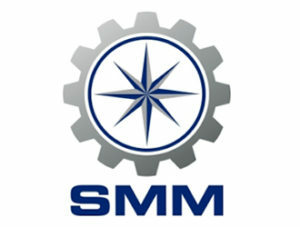 On September 5, within SMM-2018, the Industry Association MARINET in partnership with PortNews Media Group will host the conference on the most promising maritime high technologies. Manufacturers and developers of smart systems will openly discuss with shipowners and regulators the hottest industry topics: e-Navigation, unmanned shipping and maritime robotics. Another feature of the conference is participation of several Russian companies unveiling the most actual maritime developments in Russia. Is e-Navigation concept already outdated, even before its implementation? Should we talk about full-scale digital transformation of the maritime shipping and logistics as the real business demand driving the industry changes? Discover how “maritime Ubers” can crash traditional freight business, how Big Data will change the operations, and is there the real benefit behind technologies hype. The remote and autonomous shipping enthusiasts promise huge cost reduction and safety improvement, the first remote shipping trials are ongoing, IMO has started to consider relevant regulation – but do we really require and ready for the unmanned sipping? Look at the real unmanned technologies implemented on the sea and discuss together with experts their potential benefits and barriers. After the break the conference continues with short speeches about projects in maritime robotics. Get to know the newest implementations in the commercial area and the military solutions conversion, free discuss with developers details and benefits of these solutions. Marine Conference Panel Battle & Maritime Robotics Fest opens September 5, 2018 at Osaka Conference Room, Hall A4, Hamburg Messe und Congress, Messeplatz 1, Hamburg, Germany. Registration is open at 10:00. Free access, no prior application or media acceleration is required. The event live webcast will be available on the IAA PortNews website.